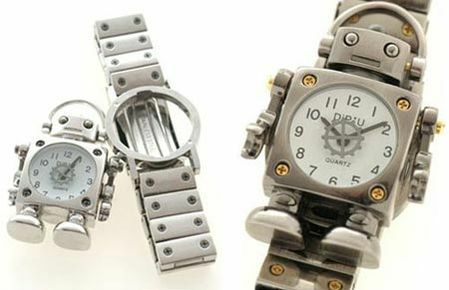 Take a look at this robot watch. It’s so cute and he can be removed from the band to double as a little desk clock. Subscribe to comments with RSS or TrackBack to 'Cute watch'.